Last night, My Chemical Romance played New Orleans' Voodoo Experience in full costume: an early Halloween treat for those in attendance; as, the band are not playing their usual Halloween show this year. While the band members primarily were dressed as knights, I believe, Frank Iero was a wizard, and some have said James Dewees was a king. 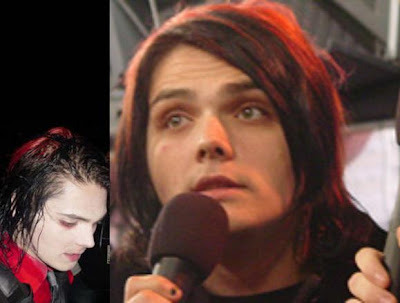 The guys, Gerard with his hair dyed black for the first time since last year, sat down with Fuse's Juliya to talk about playing Voodoo and about their costumes, past and present. Some fans will remember the Texas costumes to which the band refers as the eclectic mix of garb the guys donned in The Woodlands on September 26. Frank was Chucky, Mikey was Jason Voorhees, Gerard was a knight and Ray Toro was, as Gerard said in the video above, "I couldn't give two fucks." 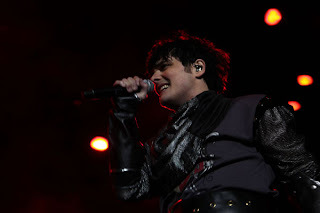 Voodoo Festival is the final confirmed date MCR are set to play in the U.S. in 2011. They will head to Australia and New Zealand this winter for Big Day Out Festival. PS: I am sorry for the lack of updates lately. This academic quarter has been annihilating my whole life.